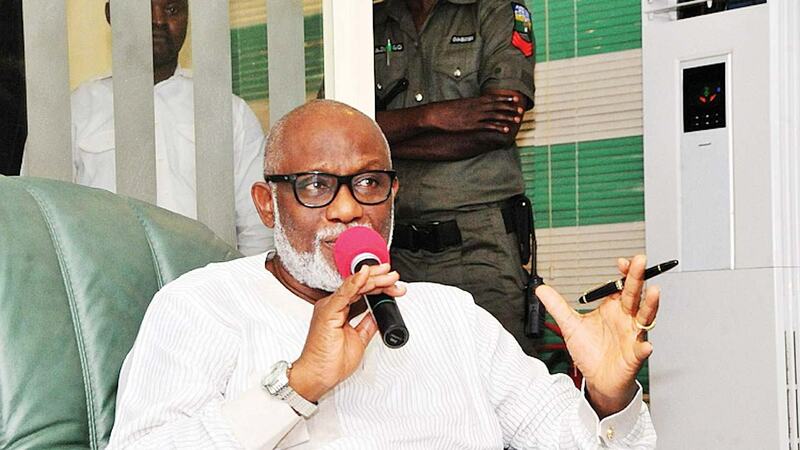 Ondo State Governor, Arakunrin Oluwarotimi Akeredolu (SAN), has reiterated his administration’s commitment to improving the conditions of the less privileged the state. The Governor made this known during an empowerment programme for 270 less privileged muslims faithful held at the premises of Ondo State Muslim Welfare Board in Akure yesterday. He explained that the less privileged being empowered included the widows, the handicapped and those specialized in a particular field but financially handicapped. The governor further appealed to the beneficiaries to make judicious use of the equipment to generate more money and banish poverty instead of disposing them. According to Akeredolu,” we have identified a location for the government Mosque and we will soon start its construction which will not be far from the Chapel”. He mentioned the empowerment materials distributed to include clippers, generators, hair dryers, bench grinders, grinding machines and cash assistance. Earlier, Chaiman, Ondo State Muslim Welfare Board, Alhaji Khaleel Fawehinmi appreciated the governor for the gesture, which he said, was the first of its kind in the history of the state where a sitting Governor would empower the less-privileged Muslims. He said the empowerment programme was the pilot phase and would be a yearly affair. The Chairman also described Akeredolu as someone who respects all religions, and prayed for his good health. “You have demonstrated the saying, that when a Godly man is in position of leadership, the people rejoices. Ever since you assumed office, you never stopped giving us reasons to smile. “Even Muslim schools in the state have been renovated by this administration, let us continue to pray for his good health, so that he can deliver on every promises he made to people of the state”, he said. Alhaji Fawehinmi however, enjoined the Muslim community in the state to reciprocate Governor Akeredolu’s good gestures by supporting the re-election of President Muhammadu Buhari in the February 16 general elections. The Chairman of the league of Imams and Alfas in Ondo state, Alhaji Ahmed Aladesawe, the grant Mufty of Ondo state, Alhaji Salahudeen Batuta and the state Missioner Answar us deen Alhaji Aminullah Ouuwajetemiodara prayed specially for the Governor, the state and the forth coming election. Speakkng on behalf of others, a disabled, who beneficiaries, Mr Lasisi Taiwo was very surprised saing that it had never happened before especially in considering the disability people. ” We got invitation for this empowerment through our disability Muslim Chairman and many of us benefited.”, he said.